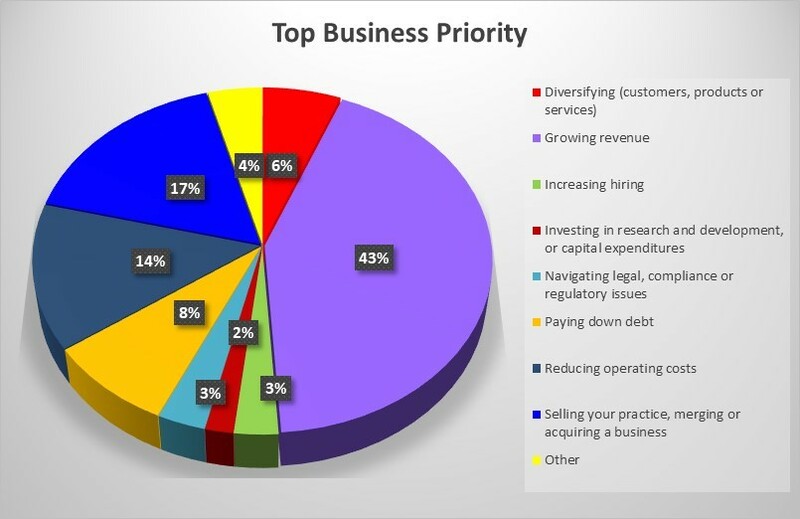 Araliya Valuation Consulting (AVC), based in Tampa, FL, surveyed over 1,000 physician business owners to find out their perspective on the current healthcare environment, in a business context. AVC team surveyed several medical specialists, including: dentists, ophthalmologists, psychiatrists and psychologists, family medicine practitioners, chiropractors, podiatrists, physical medicine and rehabilitation providers, pediatrics, orthopedic surgeons, and internal medicine providers, among other disciplines. This article summarizes the survey results. Araliya Valuation Consulting (AVC), based in Tampa, FL, surveyed over 1,000 physician business owners to find out their perspective on the current healthcare environment, in a business context. AVC team surveyed several medical specialists, including: dentists, ophthalmologists, psychiatrists and psychologists, family medicine practitioners, chiropractors, podiatrists, physical medicine and rehabilitation providers, pediatrics, orthopedic surgeons, and internal medicine providers, among other disciplines. Based on responses from more than 450 healthcare business owners, about 32% of physicians say their overall outlook on the healthcare environment in a business context is optimistic or somewhat positive, while the majority, approximately 55%, have a negative outlook. The predominantly negative outlook stems from the overall economic indicators as presented in the main media sources related to regulatory environment and compliance within healthcare. Even though these concerns are valid and should be given their due consideration, these macro forces represent only a part of the story. According to First Research publication (Healthcare Sector, NAICS Code: 62XXX), revenues for the U.S. healthcare are forecasted to grow at an annual compounded rate of six percent. Thus, it is important to keep in mind the whole picture and take a holistic approach. In general, we observed that small and medium size physician-owned practices lack robust financial planning, analysis, and oversight. Few physician business owners invest time and resources to hire outside consultants to help them develop strategic or financial plans. As a result, it is easy to miss the core drivers and have a distorted picture of what to expect going-forward. The underlying demand drivers, such as demographics, healthcare habits/trends, technology advancement, etc., should be incorporated as part of the overall financial planning and strategic outlook for small and medium size practices to correct for any biases and distortions associated with the healthcare environment, as presented per main media sources. Planning is the key element to aid physician business owners in being prepared to meet not just evolving regulatory and compliance challenges but also be in a control position to innovate, adapt, grow, and become agile in the current and future business settings. Even though most responders provided negative feedback about the healthcare environment, as evidenced in our survey, at the same time most respondents, 57%, indicated they believe their practice significantly outperforms or performs somewhat above average in comparison to other practices within the same specialty. 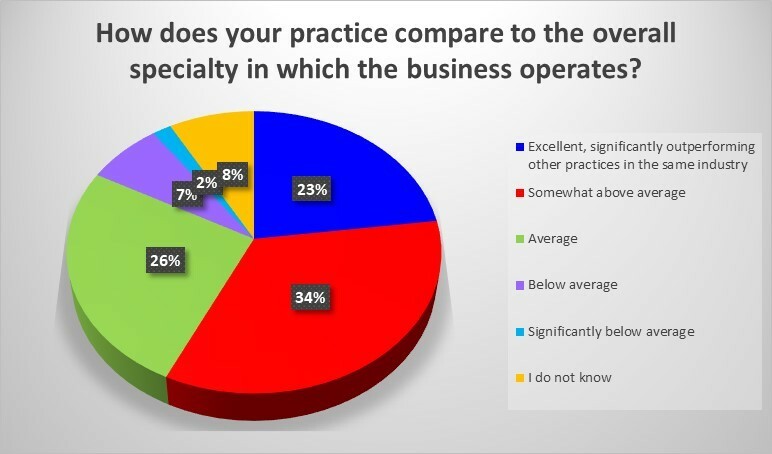 About 26% of the participants indicated their practice operates at average and nine percent of practice owners believe their practice is performing below or significantly below average. 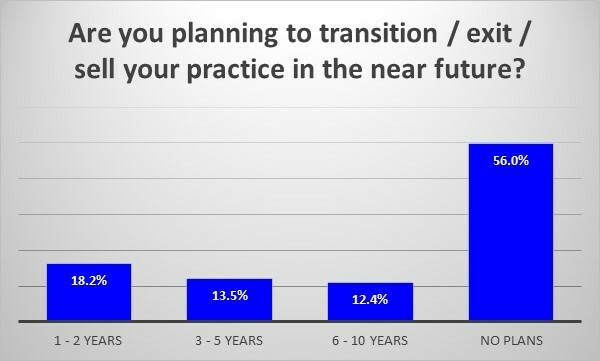 Based on our conversations with the physician practice business owners, most individual and small group practices do not have formalized financial planning and oversight processes in place. As such, it is difficult to rely on the direct performance feedback from these providers. 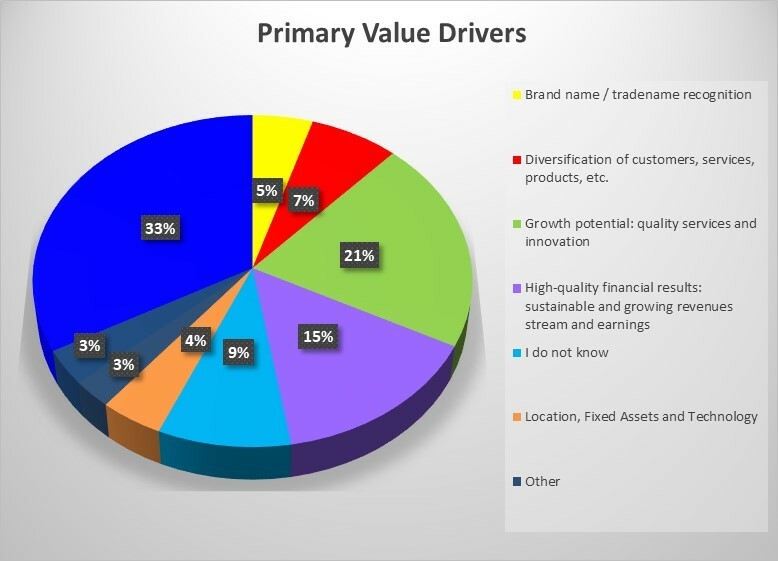 Typically, physicians review high-level financial performance on a monthly basis, including revenues and net income; however, seldomly a physician takes a deep-dive to understand value drivers, key performance indicators, industry trends, and opportunities to cut costs and optimize operations of his or her practice. The running theme among physician-owned practices is “going-with-the-flow” approach or applying a “band-aid” when needed. For example, one provider we spoke with, subjectively decides on marketing and operational decisions based on what seems to work. Specifically, plastic surgeons and other wellness providers allocate a significant portion of their marketing dollars on social media campaigns, but few track the conversion or success rate of these efforts. Other operating decisions oftentimes are designed using the same approach— either by copying what someone else is doing or acting based on what feels right, thereby, lacking data, analytics, and tangible feedback about outcomes. The same approach applies when it comes to creating annual budget, forecasts, strategic plans, projections, or succession planning. For the most part, these are non-existent among small and medium size physician-owned practices. Additionally, as evidenced in the table above, we observe an overconfidence bias that his or her practice performs better than their peers. Typically, CPAs represent the most trusted advisors for physician business owners. 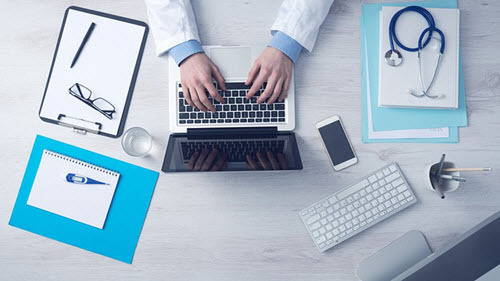 Because of this, CPAs are in the unique position to provide not only basic bookkeeping and tax services but also help their physician clients grow their practice, optimize the value of their business, and thereby increase return on his or her investment. CPAs can help their clients to correct any biases that limit the practice’s growth potential, while addressing any limitations, creating a business plan, budget and projections, given the economic outlook, industry trends in the local and nation markets, as well as analyzing the company’s underlying financial metrics, historical performance, and expectations for the future. 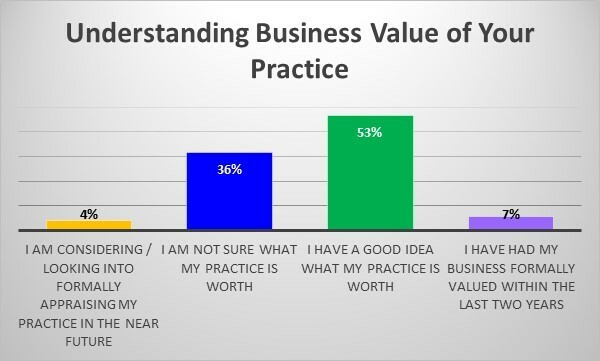 On business value, majority physician business owners feel confident they have a good idea what their practice is worth. AVC found that physicians typically rely on an arbitrary multiple to apply to their revenue number to roughly estimate the value of their practice. It is important to note, that in terms of wealth-building, physicians are vulnerable and are at greater risk. After completing medical school, residency, and fellowships, physicians enter the job market several years later in comparison to other professionals, oftentimes carrying sizable student loan debt. Additionally, few physicians start their practice right away, oftentimes opting out to start working for a hospital or other establishments, while building their experience and credibility. When a physician is ready to start his or her practice, oftentimes he or she lacks business education and becomes susceptible to making a number of financial errors, which may hinder the future success of their practice. Responders to our survey pointed out that the primary value drivers for their practice are the following: strong relationships with their patients and employees, followed by high growth potential and strong financial results. However, given limited, formalized planning processes, the responses are somewhat arbitrary in nature and reflect an opinion rather than presenting supportable data. The role of financial planning and analysis is to enable business owners to track business performance as well as to make decisions and execute strategic plans that are aligned with economic indicators of the operating business. The most important and primary concerns for physicians as they relate to their practice are: growing their revenues, reducing operating costs, and paying down debt. Survey results show that only two percent of physician practices focus on investing in new technologies and innovation. However, because there is limited evidence-based data related to physician-owned practice’s core drivers and performance indicators, it is inherently difficult to address these priorities. Healthcare analytics to understand productivity and caseload ratios for staffing are just some of the starting components and building blocks to build a successful practice. For example, a home-health agency may want to optimize their staffing at 200:1 (i.e., 1 RN to 200 patients) as direct-level staff, 12:1 (i.e., 1 RN Manager/Coach to 12 RNs) as direct-support, etc. Furthermore, patients’ care team can be based on the acuity level associated with each patient. Given this example, it is much easier to track progress, understand the level of care, judge customer satisfaction and patient outcomes once the key metrics are established and in place. Advancement in technology provides a number of business intelligence tools and dashboard reports to support the economic decision-making process. The role of financial planning and robust financial models is to help physician business owners and their advisors to analyze the results and to support strategic initiatives. 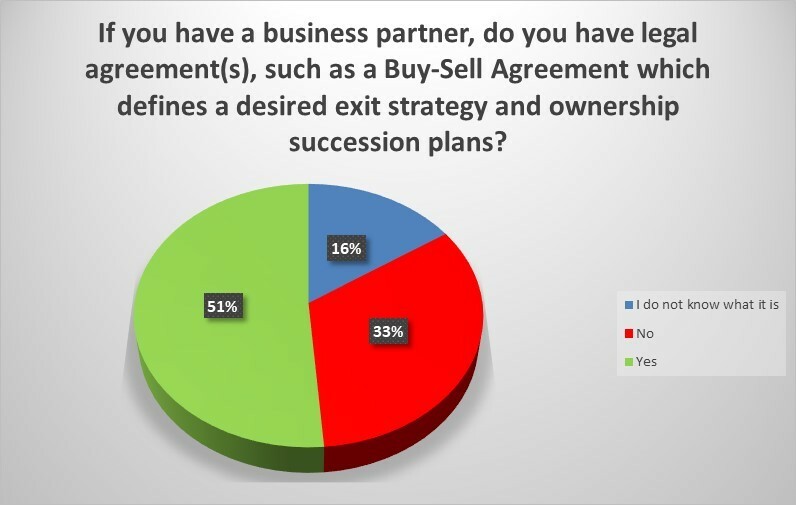 More than half of our survey respondents indicated that they do not have plans to sell or transition their business. Additionally, the survey indicated most physician practices are sole practitioners (approximately 75%) and do not have a business partner. As it applies to any business owner, physicians should know that it is not only prudent to run your business with “one eye on the exit” but it is also imperative for its success. Family members are often dependent on one source of income. Practice success equals family security and success. Neglecting to manage exit planning may result in financial hardship for the family members, employees, and the business owner himself. The remaining business owners, approximately 25%, have at least one business partner. According to AVC’s research, out of those business owners, almost half either does not know what a Buy-Sell Agreement is or does not have an agreement. This represents a gap in education and guidance that physician business owners receive from its advisory team. Failing to have proper legal documentation makes all business partners vulnerable as none of the partners may be able to control time of the exit. Furthermore, a partner may not even be around to manage the process, either due to financial hardship, death, disability, sudden market shifts, regulatory and compliance issues, loss of key customers or employees. Exiting a business is a process, not an event. Physicians, as any other business owner, need to plan to have an element of control during this process, thereby achieving their personal, business, financial, retirement, and legacy goals. Planning is the key and tracking the financial performance represents a vital part of this process. While most physicians who own practices are confident that they are outperforming their peers, the overall outlook on the industry is predominantly negative. Industry advisors working with physicians may identify opportunities to bridge the gaps for their clients whether by aligning their practice management to grow revenues, reduce costs, or facilitate the transaction. Our main job, as trusted advisors, is to partner with business leaders to discover, monitor, and optimize the value of their organization. This article has been previously published and is reprinted here with the author’s permission. Dun & Bradstreet First Research Industry Profile: Healthcare Sector NAICS Code: 62 as of 10/22/2018 (most current data available). Nataliya Kalava, CVA, serves as a president of AVC in Tampa, FL. Ms. Kalava has approximately 10 years of experience performing valuation analyses for both individuals and corporate entities. Ms. Kalava’s experience includes performing valuation for gift and estate tax planning purposes, financial reporting, transaction support, and healthcare valuations for domestic and international entities. Prior to AVC, Ms. Kalava worked at Equinix Inc., Humana Inc., BDO LLP, Sigma Valuation Consulting Inc., and PwC. For more information visit Ms. Kalava’s website at www.araliyavaluation.com. Ms. Kalava can be contacted at (813) 777-9706 or by e-mail to nataliya@araliyavaluation.com.